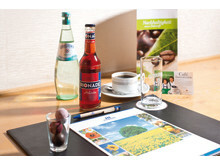 The perfect package for planners keen to go green: The ‘Green Meeting’ package, available at all Maritim hotels across Germany, incorporates sustainable elements such as fair trade food, regional produce and recycled meeting materials. 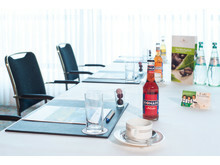 Environmentally friendly activities at Maritim Hotels Germany are helping to turn mealtimes into motorways. Germany’s largest owner managed hotel group has a long established sustainability policy including strict waste separation, compulsory in all Maritim hotels. Around 4,000 tons of waste is generated each year across the group. These recyclables are almost completely returned to the economic cycle, creating new energy, fuel or fertiliser from waste - broken crockery, for example, is re-used in road construction. "Who would have thought recycling rubbish could create roads? A commitment to the environment is important for our guests and delegates, and it’s important for us. We deliver this through innovative activities to give our waste another lease of life, so it continues to be useful – in sometimes unexpected ways! 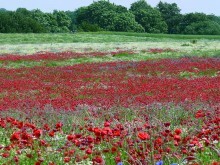 Maritim Hotels, which has 33 properties across Germany, has the perfect package for planners keen to go green. 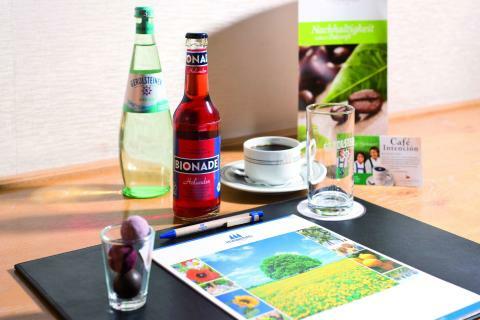 The ‘Green Meeting’ package (from 55 € onwards per person) available at flagship hotels across the country incorporates sustainable elements such as fair trade food, regional produce and recycled meeting materials.